For me, roller sets are synonymous with relaxed hair. Every two weeks I used to walk into a salon with limp, dirty hair and walk out with fluffy, voluminous curls, thanks to a roller set. 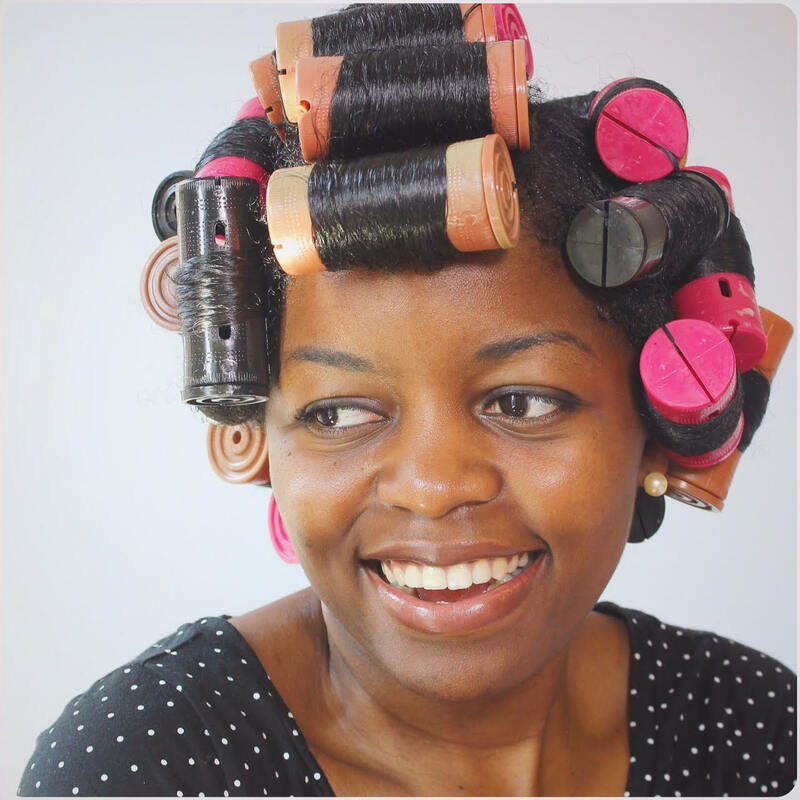 Like our relaxed counterparts, there is a place too for roller sets in the curly girl's regimen. Roller sets offer a great alternative to stretching the hair without the damaging use of a blow dry and flat iron. Unfortunately, I could never successfully install magnetic rollers on my own. So I found an easy way to cheat and achieve great results. Check it out!